Reckless water management might wipe out California's Chinook salmon — and the state's fishing industry along with it. Last winter and spring, thousands of adult Chinook salmon nosed upstream past Richmond, through the Carquinez Straits and into the Sacramento-San Joaquin River Delta, on their way to spawn in the Sacramento River. At about the same time, officials at Shasta Lake, a few miles north of Redding, did something that critics say was stupid, negligent, and illegal: They opened the spigot on the reservoir's outflow pipes in order to send extra water downstream for farmers — and they didn't save enough for the fish. Shasta Lake's levels dropped so low, and the summer grew so hot, that even the deepest, darkest, coldest corner of the lake — the pocket of water abutting the base of the dam — grew steadily warmer. By the time the salmon had reached their summer spawning grounds, the water exiting Shasta Lake and flowing past the fish was almost 60 degrees Fahrenheit — dangerously warm for temperature-sensitive fertilized Chinook eggs. For the second summer in a row, environmentalists and fishermen say, an entire year class of the endangered winter-run Chinook was mostly annihilated. Just how this happened, and whether it could have been avoided, has been the source of finger pointing, excuse making, and legal wrangling. Officials with the US Bureau of Reclamation, the federal agency that operates Shasta Dam, have blamed the drought for the mass salmon die off and say there simply wasn't enough water to go around. Louis Moore, spokesperson for the bureau, said in an interview that his agency worked with all stakeholders to insure that water was released from reservoirs at the most optimum time, considering the needs of farmers as well as fish and wildlife. But environmentalists and fishermen note that by the end of summer 2015, many farmers in the Central Valley had received 75 percent of their water contract allotments, while at least 95 percent of the endangered winter-run Chinook's fertilized eggs and newborn fish had been killed. Impacts to the fall-run Chinook — the run that supports the coastal fishery — are still being assessed. Environmentalists say the Bureau of Reclamation had the power to protect the fish but opted to prioritize the state's agricultural industry instead. "The way this keeps getting told is that drought killed the winter-run Chinook salmon," said Jon Rosenfield, a conservation biologist at The Bay Institute. "But the agencies just chose not to protect the endangered winter run, the spring run, steelhead, and the fall run — which is commercially valuable." Indeed, there's likely never been a worse time to be a salmon in California than right now. Dams and levees have made most of the state's major rivers incapable of supporting wild salmon, and increasing human demand for water threatens what habitat remains. Governor Jerry Brown insists he has a plan to save the delta and its salmon, but critics warn that his vision of diverting the Sacramento River underground through two giant tunnels and into the San Joaquin Valley will destroy the delta ecosystem. Global warming will also have its impacts on salmon. Long-term forecasts call for reduced precipitation and warmer winters, meaning less snowpack and cold water — exactly what salmon need during their inland life stages. Salmon are known to be a resilient species. If their habitat remains intact, they can bounce back from population drops in just a generation or two, thanks to short life spans and female fish that carry thousands of eggs. That means if plenty of rain falls this winter and the next, the numbers of salmon in California could rise back toward the one-million-adult mark. "But they're only resilient to a point," noted Doug Killam, a biologist with the California Department of Fish and Wildlife who studies the spawning fish each year near Redding. "The run is on the edge now. The bottom line is: Fish need water, and if it doesn't rain soon, they're going to be in real trouble." And so is California's fishing industry. If the state's reservoirs don't refill this winter, extinction of the winter-run Chinook will become an imminent threat. Fishery managers will probably curtail the ocean fishery in 2016, and may even close it to protect the winter run from decimation. If that were to happen, it could throw the coastal fishing economy — already reeling from the closure of the Dungeness crab season — into turmoil. Last January, officials with the National Marine Fisheries Service (NMFS) sent a letter to California water officials warning them that their temperature modeling system wasn't working. "[T]hroughout much of the summer of 2014, actual water temperatures ... were upwards of 4 [degrees Fahrenheit] higher than Sacramento River temperature modeling results," the letter stated. NMFS regional administrators Maria Rea and William Stelle advised David Murillo, regional director of the Bureau of Reclamation, to recalibrate his agency's temperature modeling system in order to avoid a repeat of 2014, when the bureau released warm water from Shasta Lake onto millions of winter-run salmon eggs and newborn fish, destroying nearly all of them. The Natural Resources Defense Council (NRDC) and The Bay Institute sent water authorities a similar warning notice in May. But in the end, almost the exact same thing happened in 2015 as the year before. "We classify this as a 'year class failure,'" said Rea, referring to 2015, in an interview. "We think of the Chinook as a three-year fish, so losing two years in a row is serious." 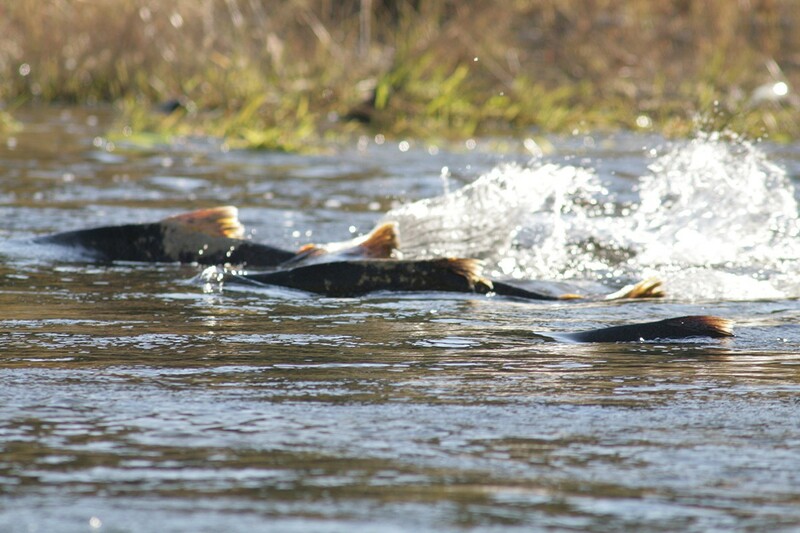 Before the Gold Rush, Chinook salmon swarmed for months each year in the Central Valley's river system. There were easily a million spawners annually — and maybe twice that amount — with fish nearly clogging even the mightiest of California's waterways. Numbers began declining as European Americans arrived and made California their home. Mining activities sent mountains' worth of sediment into rivers, burying gravel beds where the fish spawned, while intensive fishing pressure curbed the population downstream. Then, in the 1900s, as huge dams began appearing on most major rivers in the Central Valley, the Chinook became cut off from hundreds of miles of spawning grounds. Populations crashed. In the San Joaquin River, the fish never came back, while hatcheries in the Sacramento Valley, built specifically to offset the impacts of the dams, have helped maintain stable numbers of salmon. However, with more water leaving the delta than ever before via powerful pumps near Tracy, even the remnant runs of fish are now failing. The Sacramento River's wild Chinook salmon spawn in the cold water that flows out of Shasta Lake. By measuring water temperatures throughout the lake, knowing the current volume of the reservoir, and looking ahead through the year at agricultural demands from the valley downstream, dam operators are able to calculate precisely how much water they can release while preserving the cold water pocket at the base of Shasta Dam. But sometimes they mess up. Bureau of Reclamation officials told me that a pivotal thermometer in the lake wasn't working early this year. "They also had a lame excuse that their temperature control device wasn't working and they didn't know," said Tom Stokely, director of the environmental group California Water Impact Network. Chinook salmon spawn in the cold water that flows out of Shasta Lake. The temperature control device to which Stokely was referring is a large metal box placed over the outlet hole on the inside face of Shasta Dam. It extends deep down into the cold bottom water that is so critical for salmon. On this box are shutters from top to bottom. When water managers open shutters at the bottom of the box, only cold water exits the lake, passing through electricity turbines as it heads into the Sacramento River. When salmon are not spawning downstream, shutters higher on the box open up, releasing warmer water and saving the cold water for later. 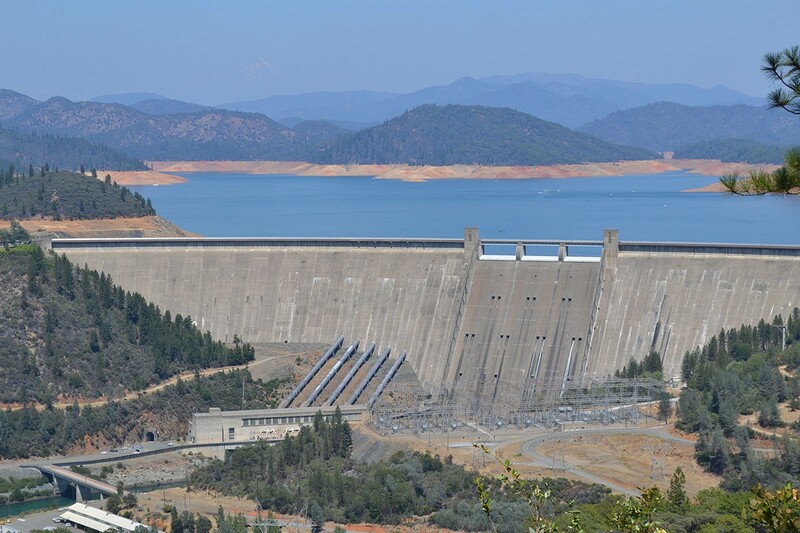 However, an exchange of letters in 2004 between Stokely and fishery managers with National Oceanic and Atmospheric Administration (NOAA) shows that federal agencies have known for at least the past eleven years that the temperature control device on Shasta Dam doesn't function properly. In that exchange of letters, Rodney McInnis, regional administrator for NOAA fisheries at the time, suggested that entirely bypassing the turbines and using a separate outflow at the base of the dam could solve problems relating to releasing warm water into the Sacramento River. That same solution could have been used this year to protect the spawning salmon in the river, Stokely noted. "But, of course, that would have meant losing hydropower generation, and the bureau wasn't going to do that," he said, referring to the fact that McInnis' solution would have impacted the generation of electrical power by Shasta Dam. Stokely also noted that water from the Trinity River, which is pumped through a tunnel in the coast range and into the Sacramento River system just below Shasta Dam, is usually several degrees warmer than the Sacramento's water. He said the Bureau of Reclamation was pumping this water into the Sacramento during the summer spawning season. Holding off for a few weeks could have helped preserve the critical temperature levels. "I am personally outraged at the deception and the lies by the Bureau of Reclamation and the fisheries regulatory agencies and how they just can't cop to the fact that their priority is to send water to [agriculture]," Stokely said. "It's not to save fish." Rosenfield said the Bureau of Reclamation officials wrote up a decent plan for releasing flows from Shasta through 2015 — but then changed it. "They said, 'This is how much cold water we'll need so we're going to release water at a certain rate during the summer — this is our temperature plan,'" Rosenfield said. "Then they proceeded to not follow their temperature plan. In its "Drought Contingency Plan," issued last January, the bureau stated that it would release from Keswick Reservoir — a holding pool just below Shasta Lake — 3,250 cubic feet of water per second through much of the spring, and then start to increase flows in late May. Instead, the bureau boosted flows dramatically in mid April. By April 18, water was gushing out of the reservoir at a rate of 4,000 cubic feet per second, and then a little more than a week later, the releases reached 7,000 cubic feet per second. Saving just some of that water in Shasta, Rosenfield said, could have saved millions of salmon. In a normal water year, when reservoir supplies are plentiful, the senior water rights holders in the Sacramento Valley receive about 2.1 million acre-feet of water. That's enough to fill a skyscraper about 400 miles tall. This water comes mostly from Shasta Lake, but also from the Trinity River via a tunnel drilled decades ago in an aggressive maneuver to secure more water for farmers in the dry San Joaquin Valley. Because 2015 was a critical water year due to the drought, the Central Valley's senior rights farmers didn't receive their normal allotments of water and instead got 60 to 65 percent, according to Thad Bettner, general manager of the Glenn-Colusa Irrigation District, a consortium of farmers northwest of Sacramento. But that's still a lot of water, according to environmentalists and fishermen who think deliveries should have been cut even more. Just a fraction of that volume, they've argued, could have been enough to keep cold water for the salmon eggs. Last month, the NRDC, The Bay Institute, the Winnemem Wintu Tribe, and several other groups filed a court complaint, alleging that the Bureau of Reclamation repeatedly violated the Endangered Species Act. They alleged that by releasing so much reservoir water from Shasta Lake for farmers, the bureau failed to safeguard the cold water in the lake that is critical for salmon. The complaint is being added to a decade-old lawsuit focused on delta smelt. Environmentalists say the decision to favor agriculture over Chinook salmon was illegal. Kate Poole, a senior attorney with the NDRC, said in an interview that favoring farmers — no matter how senior their water rights — over endangered fish is illegal. 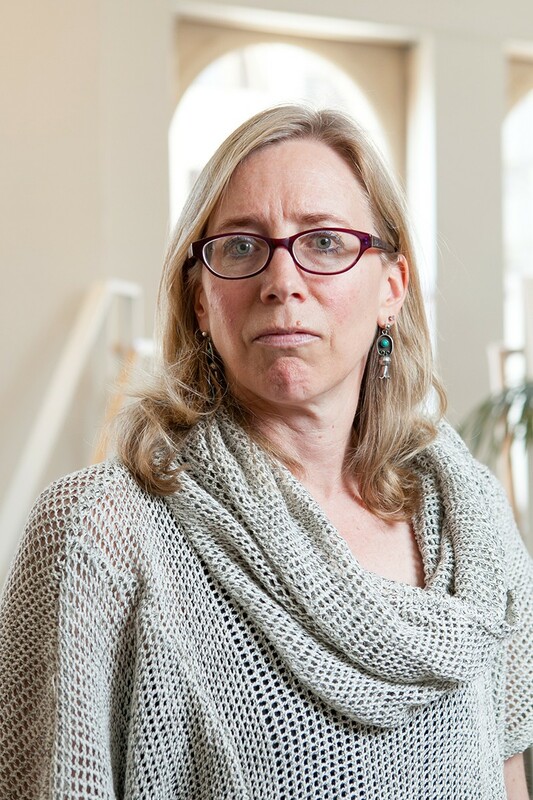 Even protection of the fall-run Chinook, which is not listed as threatened or endangered but which is a commercially valuable resource, must be prioritized above senior water rights, she argued. "The seniority of water rights does not insulate [water agencies] from their obligations to protect public trust uses," Poole said. However, Bettner of the Glenn-Colusa Irrigation District, contends that the estimated mortality rate of 95 percent of the winter-run salmon this year from the lack of cold water in the Sacramento River may be exaggerated. He suspects that other factors are causing the low fish counts. The counting method used to estimate the survival rate of the young salmon, Bettner suggested, could be skewed. He also speculates that predators, like striped bass and even native trout, may be eating the young salmon. He's also argued that it's possible that the 2015 brood of winter-run juveniles is still in the river and that they just haven't migrated downstream past the fish counting station near Red Bluff, where a battery of rotary screw fish traps has been placed across the river. But Jim Smith, a biologist with the US Fish and Wildlife Service, said in an interview that Bettner's optimism isn't supported by evidence. In most years, he said, the majority of juvenile winter-run salmon would have migrated out of the upper river by now. He believes the fish traps are working correctly and that mortality is indeed alarmingly high. He blames warm water. "Temperatures were higher in the river than they've been in 25 years," he said. Not only did salmon in the upper reaches of the system suffer this year. Downstream, too, in the delta, reduced flows of freshwater led to saltwater intrusion from San Francisco Bay and reduced water quality overall, according to Rosenfield. 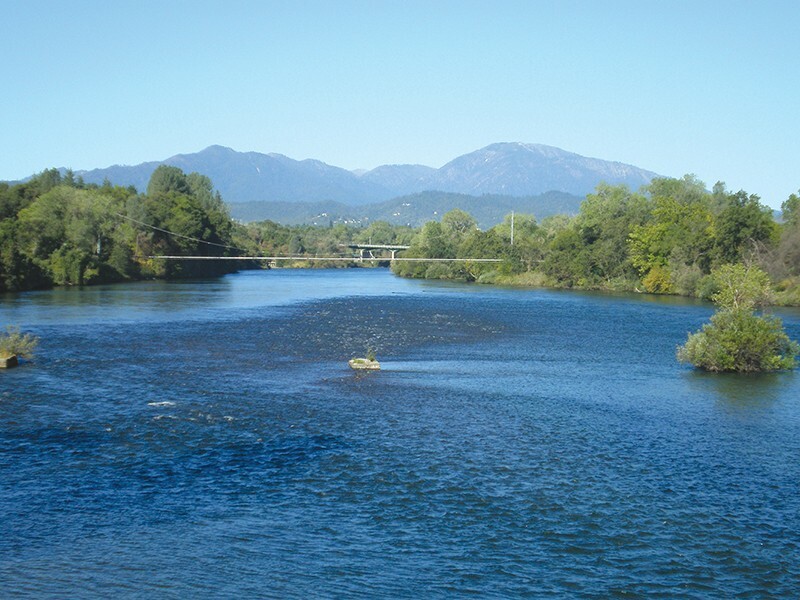 He noted that the higher-than-promised springtime releases from Shasta and Keswick could have been used to improve water conditions in the delta — as well as give a downstream push to the fall-run salmon smolts as they tried to reach the sea. Instead, he said, nearly half the excess flows were siphoned for farms. "If there was ever a year when the state water board and the agencies were going to rise to the occasion and say, 'You know what? We need to protect these vital resources that we will lose forever and give less water to rice farmers,' this was the year,'" Rosenfield said. The drought has brought misery to some farmers. In places, they have watched trees die and wells run dry. Heightened environmental restrictions on pumping from the delta caused additional burdens, and many farmers wound up with zero surface water allowances in the past two years, forcing them to irrigate their orchards with groundwater, buy surface water at high prices from others, or fallow their land. Yet despite these challenges, farmers are still doing quite well in California. The state's agriculture industry sold $54 billion worth of crops in 2014 — an all-time record, though that was partly due to inflated prices in foreign markets. The almond industry, increasingly a symbol of one arid region's dependence on water imported from wetter places, is also thriving. Since June 2014, California farmers have planted 12 million almond trees — resulting in 75,000 acres of new orchards, according to the US Department of Agriculture. The almond industry, expanding rapidly for years, now occupies more than a million acres of California. That's about 1,600 square miles. Meanwhile, not far away from these lucrative trees, one of the most prolific estuaries in the world is dying, with a lineup of fish species edging briskly toward extinction. The delta smelt is now considered to be doomed, if not quite gone. Right behind them are green sturgeon, Central Valley steelhead trout, river lamprey, Sacramento splittail, and Longfin smelt. Now, both the winter- and spring-run Chinook seem to be edging into the queue for extinction. But many farmers say the destruction of the state's once-mighty salmon runs is not their fault. Mike Wade, director of the California Farm Water Coalition, a group that represents farmers throughout the Central Valley, claims that the decline of native fishes is largely the result of predators — like black bass, striped bass, and sunfish — that were introduced into the estuary. And he said that because the restrictions on pumping that were intended to reverse the declines aren't working, other factors must be more significant. "We've been curtailing our pumping for 25 years, and we're still seeing fish declines," said. "So we need to start being smarter." Wade argues that cyclical shutdowns of ocean productivity and loss of inland habitat where juvenile salmon used to spend the first months of their lives are key factors in Chinook declines. In fact, many scientists would agree and are now at work on projects that would restore the floodplains and wetlands alongside the Sacramento River, separated from these areas long ago by levees. But scientists, environmentalists, and fishermen say the correlation between water pumping from the delta and declines in fish numbers is too strong to ignore. In the 1960s, when both striped bass and Chinook salmon were still very abundant (along with many other fish species), water diversions from the delta via the pumping stations near Tracy were about 1.5 million acre-feet a year. Water exports grew to about 4.5 million-acre feet annually in the 1970s and continued to steadily increase. In the early 2000s, water exports exceeded 6 million acre-feet for several years — record high pumping rates that were followed within three years by record low returns of salmon. The commercial salmon fishery was shut down for two years — a disaster for the state's salmon fishermen. Jon Rosenfield said the Bureau of Reclamation ignored its own plan to save cold water for salmon this year. Nonetheless, Wade contends that the correlation between water exports and fish declines is just a coincidence that does not prove causation and does not merit denying farmers the water they need to prosper. 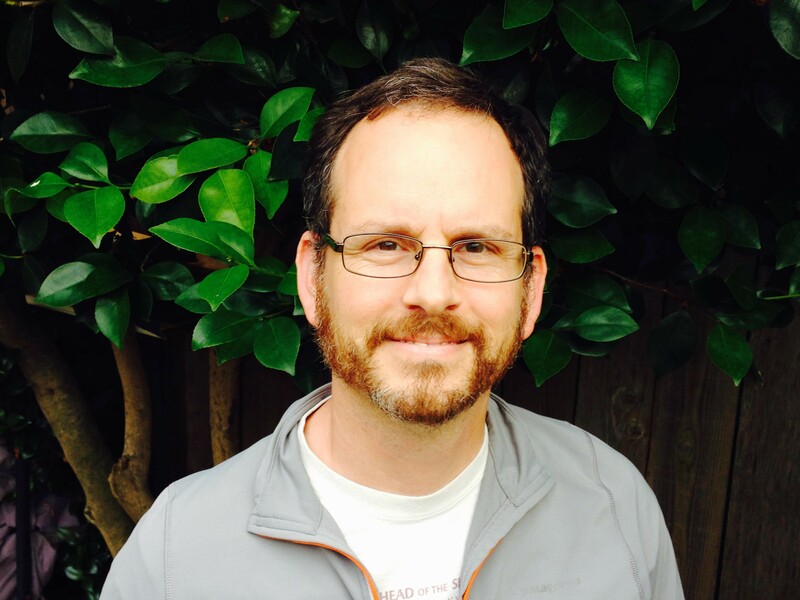 But Peter Moyle, a fisheries scientist at UC Davis, said many inter-related factors have affected salmon abundance, and while water diversions from the river system are not necessarily the direct cause of mortality, they have much to do with salmon survival rates — both in freshwater and in the ocean. "Anyone who looks for a simple cause-and-effect relationship in [n]ature doesn't understand how things work," Moyle wrote in an email to me. "Flows rarely act alone in affecting salmon survival. The timing of flows, for example, may be more important than the amount of water. Warm water from low flows may increase survival of predators and competitors, resulting in lower survival of juvenile salmon. Adult salmon may die on the way to spawn because of warm water from inadequate flows, resulting in fewer fish in following years." Salmon fishermen, meanwhile, can't help feeling that they and the fish they live on have been shortchanged by California's water allotment system. 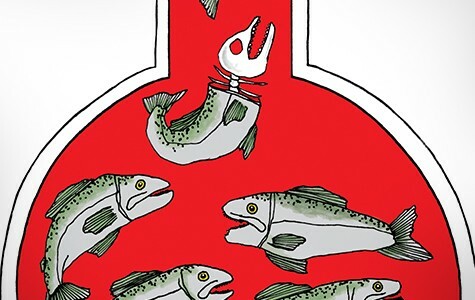 "Salmon have just never gotten a fair shake on water to begin with," said Chuck Cappotto, a retired commercial fisherman who sits on the board of directors of the Pacific Coast Federation of Fishermen's Associations. "When 80 percent of the state's [available] water is going to  percent of its gross domestic product, farmers have no room to complain whatsoever," he said, referring to California's agricultural industry. Mike Hudson, a commercial salmon fisherman in Berkeley, said that aside from removing major dams, the most obvious fix for the state's straggling salmon populations would be to cut the water pumping rates from the delta. Of the 35 to 40 million acre-feet of water used by agriculture in California each year, just 5 to 6 million acre-feet originate in the delta. "It's basically a very small percentage of the water for farms," said Hudson. "And we just want them to cut it back to 3 million acre-feet." That's the level of water that fishermen and environmental groups, including the Environmental Water Caucus, say could be a sustainably removed from the delta each year. Hudson believes this would have a tremendously beneficial effect on salmon numbers at a relatively small cost to the state's agriculture industry. "That the easiest thing to be done," he said. "But it's also the hardest thing." For many commercial fishermen, the year ahead could be a financial disaster. The Dungeness crab season has been delayed indefinitely due to toxins detected in samples of crab flesh — an action that will cut into the incomes of thousands of people. Now, to protect winter-run Chinook, fishing is probably going to be tightly restricted, if not closed entirely, next year. While fishermen on the ocean mostly catch the relatively abundant fall-run fish, baited hooks in the water can easily catch winter-run salmon. So imposing tighter restrictions on all salmon fishing in Northern California waters may be the only way to insure that the endangered fish are not eliminated. Hudson knows this must be done — but he doesn't think it's entirely fair. "They're allowed to kill almost all of the fish in the rivers and the delta, but when it comes to protecting the last few hundred adult fish, they will shut our whole industry down," Hudson said. "They have a history of doing that." Along the entire coast, commercial salmon fishermen are wondering how they will cope. Many are thinking about buying a costly state permit to fish for rockfish. Some are gearing up to fish far from shore for deepwater sablefish, usually marketed as black cod. Hudson has considered installing an expensive refrigeration system on his boat so he can motor north into Oregon waters to fish for tuna. But the investment would cost at least $20,000, he said, and he probably isn't ready to take the plunge. "So, I'm looking at tying up the boat," he said. Cappotto said a shutdown of the salmon season in coming years will create financial hardships that many small-boat, independent fishermen will not be able to overcome. "Crab season has got this enormous interruption, and so it will deliver a two-punch combo to the small-boat fisherman," he said. "In the past, we would balance our fisheries one against the other. When salmon was bad, hopefully we'd have a good crab season, and when crab was bad, hopefully we'd have a good salmon season." Cappotto added that restrictions on fishing commercially for bottom-dwelling rockfishes have become so tight that it's nearly impossible for most boat owners to target them, even though the abundance of many rockfish species has boomed in the past five years. "So there's really not a lot a guy can go out and make a living doing," he said. "If either salmon or crab goes, there won't be a lot to keep these fishermen in business." Cappotto said that before quitting fishing altogether, many struggling fishermen will defer boat maintenance to save costs, which puts them at risk of dangerous mishaps at sea. Such are the indirect but grave consequences, he said, of unfairly portioning Central Valley river water. John McManus noted that when you protect the salmon fishery, you also protect habitat for other species. 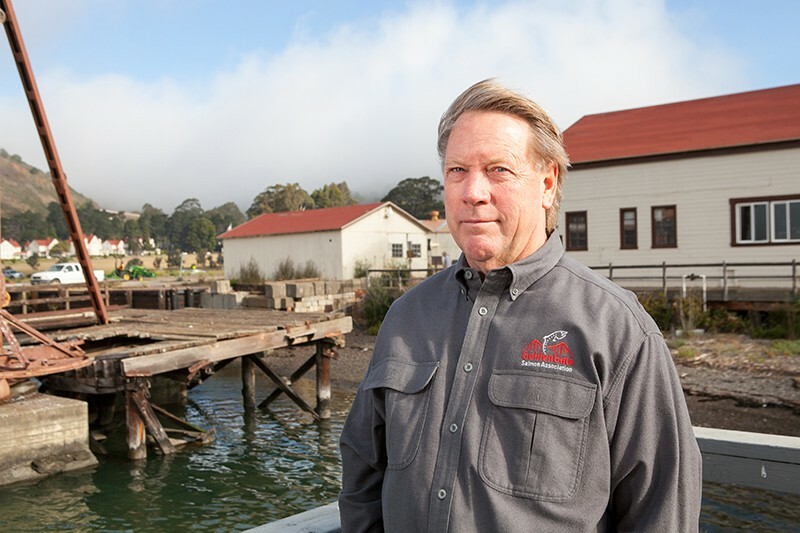 Protecting the salmon fishery benefits more than just fishermen, added John McManus, executive director of the Golden Gate Salmon Association. The fishing economy, he said, serves as a sort of protective umbrella for much of the state's water resources. "When you're protecting salmon habitat, you're protecting freshwater habitat for many species," he said. "Protecting fishermen's jobs has been one of the most persuasive reasons for protecting the environment." Because the Central Valley's watersheds have been so impacted by dams, pumps, canals, and levees, there would be almost no salmon at all if it weren't for fish hatcheries. Several of these cement-and-steel facilities produce millions of Chinook every year. These fish are not farmed, but neither are they entirely wild. They are produced by capturing adult fish by hand from the river and combining their eggs and sperm in trays and eventually releasing the juveniles into the wild to live out their lives. Because many of the natural selection forces that hone the strength and instincts of wild fish are removed by the hatchery system, the salmon produced by it essentially constitute a domesticated species, scientists have said. Purists in the fisheries science field want to see greater populations of truly wild California salmon, and some have even suggested closing the hatcheries down, since they interfere with wild fish populations. "But there isn't enough habitat left to have wild fish," said Hudson. "Without hatcheries we wouldn't have any salmon at all." In spite of the hatcheries, the numbers of salmon continue to decline for a variety of reasons. Projects are advancing that could improve post-spawn conditions for Chinook. The group California Trout is behind a plan that would restore thousands of acres of the Sacramento Valley's historic floodplains — wetlands that could provide critical habitat for newly born salmon and greatly improve their odds of reaching the ocean safely. The NMFS is also discussing plans to help transport adult salmon around Shasta Dam so they can spawn in the headwaters of the McCloud River, which flows off the slopes of Mount Shasta and runs icy cold all year long. But the problems impacting salmon survival may be insurmountable. Some scientists believe the booming human population, its increasing demand for water, and a warming planet will eventually eliminate Pacific salmon, including Chinook as well as Coho, from the southern end of their range. According to these predictions, Chinook will be extinct in California before the end of the century. But Hudson believes there is a future in California for salmon and fishermen. It depends, however, on leaving enough water in the delta and the state's rivers. From the perspective of California's agriculture industry, on the other hand, farmers have already sacrificed enough. "I don't know how much more water [environmentalists and fishermen] think that agriculture can give," Wade said. But environmentalists and fishermen note that, unlike salmon, California farmers are in no danger of extinction. In fact, they now grow more fruits and nuts than ever before. "Do they want to kill everything in the state just to grow a few more crops?" Hudson asked.